Correct tnt. It is such a stretch to question the Engelstads motives. Trust the people who are cutting and demolishing this great University over the people who have given so much. Shame on you. 1998 110 Million Ralph Engelstad Arena 2007 20 Million to UND for Schlorships 2018 3 Million to GF CVIC There is probably more I missed Kris thank you and thank your Family and Foundation for your kindness and generosity. We all need to be patient as this era will end someday. Neither, people can count and we have 1 more vote than you. You loose. The State High Ed Board has the master plan. Not all of them but a voting majority do. Who do I believe someone who has done nothing but make cuts. Or a family who has done nothing but give? Eye wash would help. Not surprising Kelly cut the School of Communication as soon as he got here. Kennedy vs Mrs Engelstad McGarry. Who picked a fight? 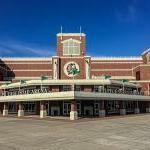 Stories I heard about Ralph Engelstad and his love and passion for Sioux hockey and UND. He would pace his office waiting to get updates about Sioux hockey games. He built a palace for his favorite team. His daughter and his foundation know this They know Ralph is watching what's going on at UND. IMP they would never do anything to hurt UND because of there love and respect for Ralph. I believe her. The NCAA is going tell Spirit Lake what's Hostile and Abusive about there name? Wrong keep fighting. He saw a wrong and tried to right it.